Youve probably been considering the different types of online businesses out there. You know you have what it takes to make a living online, but youre just not sure which way to go. After all, there are literally hundreds of options available to you IF you have the start up costs often associated with online ventures. In fact, with 99 of online business models out there, you have to spend money to earn it. If you are looking for a no-risk - no worry method of making a living online, it just doesnt get better than this. With domain flipping, you can literally take a $9 domain name and flip it for $90, $900, even $9,000 dollars quickly and easily! Its no wonder that so many people have ditched the high cost business models to pursue the domain flipping industry. There are no risks or high investment required, in fact, after landing on this website you now have everything youll ever need to dominate the domain flipping industry, while maximizing your income with cheap domain names that you can flip for up to 1000x their original value. Its an exceptionally lucrative industry to be a part of, even for the absolute beginner. In fact, you dont have to have ANY previous experience to start making money in the domain industry, all you really need is a step by step blueprint that will show you exactly how to get started! Then, I happened to stumble into the domain marketplace one day while browsing for yet another start up business. What I saw absolutely shocked me (and I dont shock easily). And if youve been told that all of the good domain names are gone, think again. 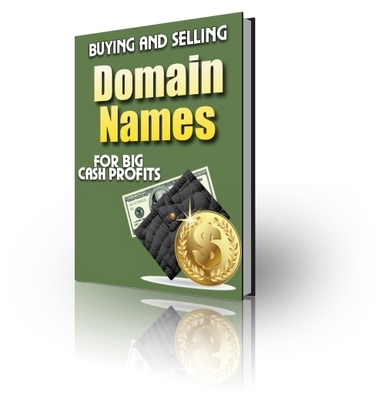 The domain names that are selling in popular marketplaces are generic, every-day ORDINARY domain names. Follow my proven formula for choosing winning domain names that are guaranteed to sell, every single time! This is a supercharged check-list that will eliminate any duds from your list, saving you time and money instantly! Discover how you can conquer the domain game by eliminating costly mistakes and time consuming trial and error. Follow my step by step action plan to instant domain flipping that will guide you every step of the way! Listen, I was skeptical when I first ventured into this industry as well. I thought in order to make a decent profit with domain names, Id have to spend a few grand experimenting with what will sell and what doesnt. But it wasnt that way at all, in fact, I managed to churn a $947 profit on my VERY first day with a $9.27 domain name that simply attracted the right buyer at the right time.